Looking for fun outings that the whole family will enjoy? 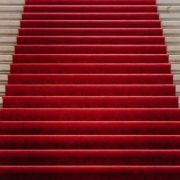 Check out the best of our area. The struggle is so real — find a place the kids enjoy and the adults are bored (Chuck E. Cheese, I’m looking at you) or find a place the adults enjoy and the kids are miserable. And with summer coming up, visitors on the way, and lots of time to fill while the kids are out of school, you’re looking for some new ideas for those fun family outings. Never fear: as always, I’m here to help! Check out my picks for the best family activities in Arlington and Alexandria. If you have a child who gets excited whenever a plane goes by overhead, you must visit Gravelly Point. This small park is situated along the GW Parkway and offers unparalleled views of Reagan National’s runways. Bring a picnic and watch the planes take off and land so close that it feels like you could touch them. If you haven’t already, check out the incredible services and events offered at one of APL’s many area branches. With everything from an American Girl doll lending program to Paws to Read, pairing children with four-legged reading companions, you’ll find a lot to love. Be sure and sign up for summer reading and kids clubs to get in on the fun. For the ultimate day out, Upton Hill has it all. Waterpark, hiking trails, mini-golf, batting cages — you’ll find it all at this massive complex. Bring a picnic and make a day of it — the kids will be begging to come back again. Looking for a break from the heat? Bring the family to a public skating event at Kettler Capitals Iceplex. There’s Family Pick-up Hockey, Free Skating, and Stick-and-Shoot for all ages. And if your little one has a summer birthday, this would make a great beat-the-heat party theme! For a variety of sports and a playground that is a local favorite, Bluemont Park should definitely be on your radar. Beautiful and pastoral, and particularly loved for its wading streams and proximity to the W&OD Trail. An amazing park with room to run and gardens designed for kids, Green Spring’s centerpiece is the historic home on site. In addition, the emphasis here is on horticulture and learning opportunities, so you may just want to take home some of your newfound knowledge to create a garden of your own! Indoor soft play room for rainy days and a pool for the summer, plus open gym for toddlers several days a week. Who could ask for anything more? This Alexandria spot is a favorite with local parents and children, with sports and recreation activities for all ages. While it’s fun to go to a Nationals Game, there’s nothing like getting close to the action. The Alexandria Aces are a local baseball club made up of collegiate athletes in the area. They play about 20 games a season at Four Mile Run Park and offer the chance to enjoy a little old-fashioned “Take Me Out to the Ballgame” fun. With service from the Wharf to the National Mall, Georgetown, and National Harbor, you’ll love taking the Water Taxi instead of fighting the traffic. Bonus? Have fun teaching the kids about the landmarks and memorials you’ll see along the waterway. It’s a whole new way to see DC. Every first Thursday in the months of April through September, the Del Ray Business Association hosts a street fair along Mt. Vernon Ave. with fun, food, games, music, and more. Bring the kids, bring the pets, and explore Del Ray while giving back to the community — each First Thursday features a local non-profit! On the Saturday after 4th of July, Alexandrians celebrate the birthday of their city along the waterfront with the Alexandria Symphony and fireworks! Bring a picnic or buy dinner on-site, and don’t forget there’s birthday cake for dessert! It’s a great Alexandria tradition. 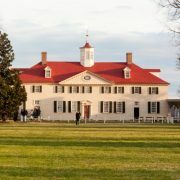 Want to get active while learning about Alexandria? A local Eagle Scout, Russ Leggett, partnered with the Alexandria Archaeology Museum to create this fun and interactive scavenger hunt that crisscrosses 20 blocks of Old Town. Get moving! 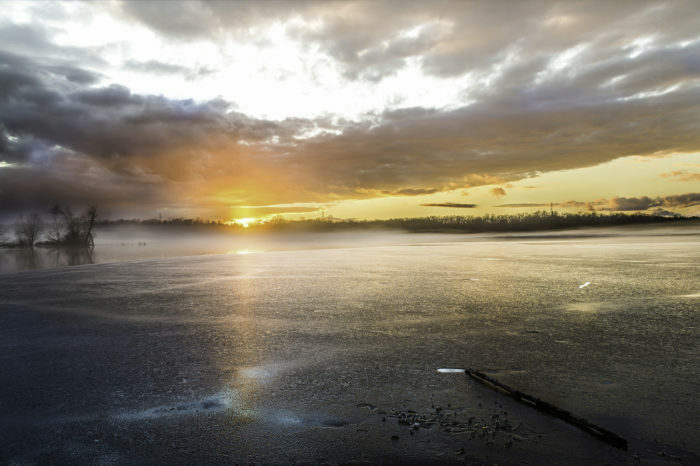 For some of DC’s most spectacular wildlife watching, you must visit Huntley Meadows. With wetlands, forest, and meadow habitats, you’ll be amazed at all of the creatures you’ll spot. And with a variety of classes and camps available, who knows what lifelong interest in the natural world you’ll spark when you bring the kids to this enchanted place? 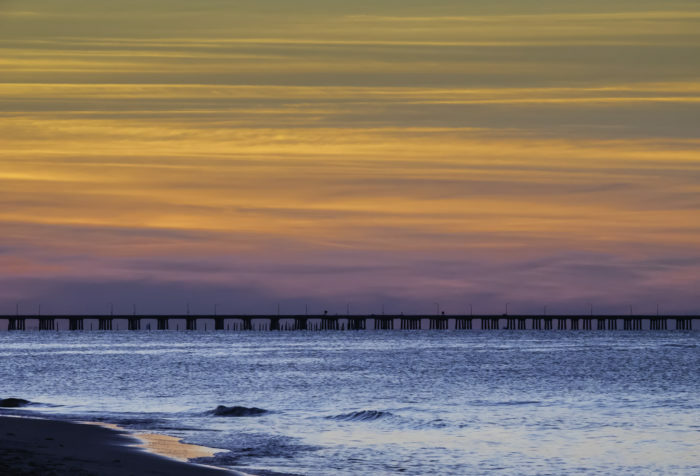 There are so many fun things to do in the area — things that you just can’t experience anywhere else. I hope to see you soon when you’re out and about, exploring all of these fun spots. If you’re thinking of buying a home in this fantastic part of the DC Metro, let me know! I’d love to help you find the perfect place for you and your family! What Makes the Spring Market So Hot? You’ve heard about it, but here’s why it matters if you’re thinking of selling your home. If you’ve ever met a real estate agent, you’ll know that they talk about the Spring Market with the kind of anticipation and delight most people reserve for birthdays or holidays. They get a little gleam in their eye when they talk about it, and while it’s happening you’ll probably have a hard time getting them to think about anything else. In our area, the Winter seems to have dragged on and on, making it tough to think about Spring some days. (You may even have seen me interviewed about it here.) But even with the unseasonably chilly weather, the Spring Market arrived just like always. And oh boy, it’s a hot one, with some homes selling over asking price even before their first Open House. If you’ve been putting off listing your home, it’s time to hop to it! Here’s why the Spring Market matters so much for DC-area real estate. One of the reasons that Spring is an exciting time for real estate in Alexandria and the surrounding DC market is the forced hibernation in our area, causing many of us to hunker down indoors. Especially with the late Winter weather, people are itching to get out of their routine and look at some fresh new surroundings. After being cooped up for months, a new home feels like a whole new beginning. In addition, hopeful home Buyers with a green thumb who are currently living in an apartment or condo may be searching for that perfect bit of garden to dig into this Spring and Summer. Others have been dreaming of backyard barbecues. That makes this the perfect time to market homes with desirable outdoor spaces like a yard, patio, deck, or porch. Home Buyers with children who are still in school begin gearing up their home search this time of year in order to take advantage of the Summer vacation to unpack and adjust to their new surroundings. 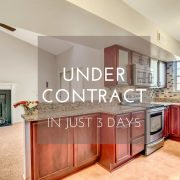 A Buyer looking now will probably go under contract over the next few weeks, then close right around the time school lets out for the Summer. That means they’ll have plenty of time to get the kids used to their new neighborhood before school begins in the Fall. Because our school calendars trend a little later than many metro areas, there’s still time to take advantage of this important market segment. Getting your home ready to list over the next few weeks will allow you to dazzle them right when they’re ready to buy. 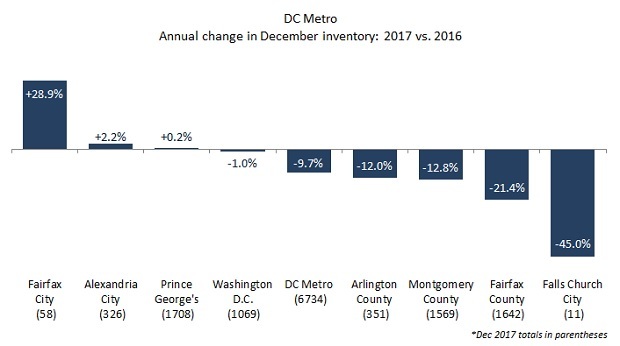 Most major metropolitan markets have been contending with low inventory for several years now, and DC is no exception. The reasons are many: post-2008 home building slowdowns, diminishing labor pools for new construction, and economic and political uncertainty in some areas. That means that with fewer homes on the market, Buyers are ready to snap up desirable properties, sometimes even before they are officially listed. Because the slower Fall and Winter selling season results in an inventory bottleneck, demand is even higher. Now those who didn’t want to deal with Open Houses during the holidays or shoveling snow for Buyer walkthroughs are in a position to be one of the first ones listed in their neighborhood. Did you know that Millennials make up the largest generation, outnumbering even Baby Boomers? Those number mean that there are more Buyers than ever looking for a home, and you could be one of the lucky Sellers to find yourself in a multiple offer situation. A combination of low inventory and the massive number of Millennials graduating from college, coming of age, and looking for their first home purchase is creating unprecedented demand. In many desirable neighborhoods, in fact, homeowners whose houses aren’t even on the market are getting knocks at their doors from hopeful Buyer Agents. Being first to the market in one of these areas can pay big dividends at the closing table. There’s no time like the present to sell your DC home! Check out my suggestions for getting your home ready to sell, then contact me to get started! We’ll get you geared up and on the market in time to greet those excited Spring Buyers and find you a great new space of your own! http://www.thehwilliamsgroup.com/wp-content/uploads/2018/01/living-room-2605530_1920.jpg 1280 1920 Holly Williams http://www.thehwilliamsgroup.com/wp-content/uploads/2017/12/logo.jpg Holly Williams2018-04-16 21:27:222018-04-16 21:27:22Hot Like Fire! Make sure your upgrades don’t end up hurting your home’s value. One of the most heartbreaking things that can happen at an Open House or private showing is walking through a perfectly charming house, envisioning its potential, then walking headlong into a deal-breaker. Maybe it’s shiplap or panelling in the den. Maybe it’s a baby pink bathroom. Maybe it’s wallpaper EVERYWHERE. 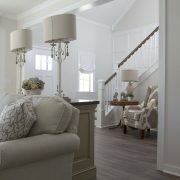 How about a different paint color and carpet in each room? These are the kinds of “improvements” that probably seemed like a good idea at the time, but now work as time machines, taking you back to an earlier, and uglier, era in home design. For most Buyers, a deal-breaker is an element that is too unattractive to live with and too expensive to fix. Even if the rest of the house is great, the deal-breaker makes everyone turn around and exit — quickly. Whether you are a Buyer deciding what upgrades you’re willing to pay for or a Seller considering some timely updates before you put your home on the market, it’s a good idea to think through some of the current design trends that might become tomorrow’s deal-breakers. Maybe you live in a bungalow but you want a marble bathroom fit for a Queen. You live in a luxury home, but you’re more the down-home, country type. Or perhaps you’re looking at starter homes and find one with super luxe finishes. Anything that is far outside of the norm for the home style and the market probably won’t serve you well financially — it may even make your home less desirable by being out-of-step with the taste of most Buyers. If you’re a Seller thinking of adding some updates, make sure they’re in keeping with the style of the home and the local market. If you’re a Buyer, don’t be tempted to pay more for an upgrade that isn’t really adding value. A backlit, translucent zinc shower wall straight out of Vegas. A gourmet kitchen that would intimidate Martha Stewart. A backyard pool that gives the local water park a run for its money. Gold leaf as far as the eye can see. While all of these no doubt said “fancy” to the homeowners who installed them, they’ll probably turn off most potential buyers. Remember that what works in a magazine or in a luxury hotel or spa may just be too much in a home. If you’re a Seller thinking of adding some luxury upgrades, keep in mind the overall style of your home and your market. Add touches here and there rather than going all-in. If you’re a Buyer, make sure you’re taking into account the maintenance and upkeep required by a mega-upgrade like a pool or gourmet kitchen. Whether it’s a child’s bedroom that looks like a castle, a kitchen that looks like a barn, or a backyard that looks like a fairyland, some homeowners love a theme. Cutesy or chic, too many elements built around a specific theme are off-putting for Buyers and limit the number of people who’ll be interested in the home. And when the theme is in a child’s room or play area, you’ll be surprised how quickly they outgrow it. If you’re a Seller thinking of organizing your renovation around a theme, remember that neutral is more appealing and helps you sell faster. If you’re a Buyer tempted by a themed space, think about your life a year from now. Five years from now. Will that theme still be appealing then? Perhaps you work from home and crave a really fabulous home office instead of the dining room you never use. Maybe you want to convert a spare room into your own designer closet and dressing room. Or perhaps you’re thinking of a Star Wars themed media room renovation for the bonus space. While you’ll no doubt enjoy these unique elements, if you’re thinking of resale you may want to re-think such extreme measures. If you’re a Seller, work with your decorator or contractor to create a plan that can be converted back to normal at a later point. If you’re a Buyer, think about how that space will work for you over the next few years. If you plan to have children, for example, that spare room or formal dining room may be more appealing (and necessary) than it is right now. One homeowner’s dream home is another’s deal-breaker. 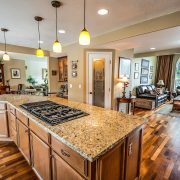 While you want to enjoy your space and make it work for your family, be cautious about design decisions that may undercut your home’s value down the road. 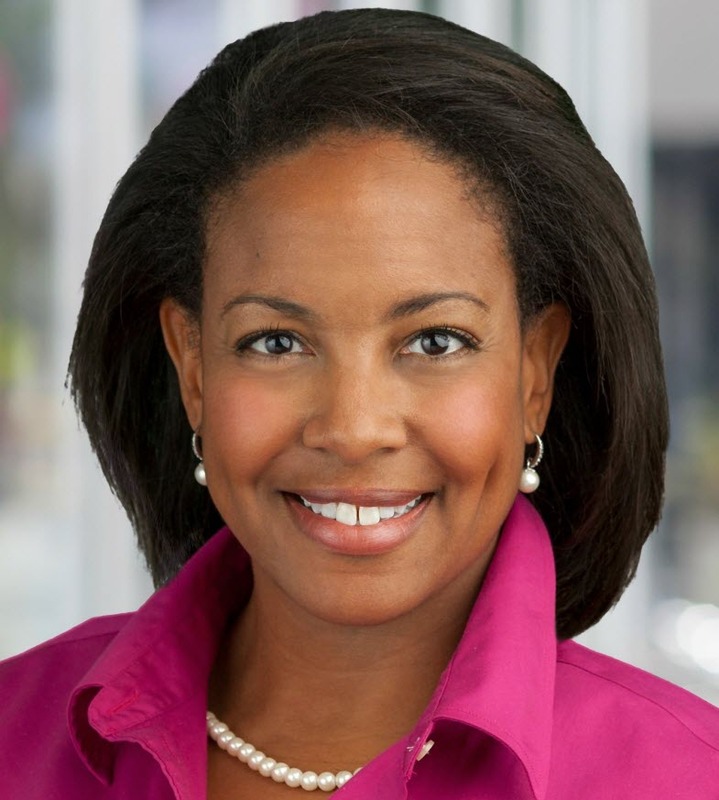 Whether you’re a Seller wanting to discuss upgrades that get big returns on investment or a Buyer who wants to discuss comps for your favorite neighborhood, I’m here to help! Contact me today and let’s get started on a plan to make your real estate dreams a reality. Worried that rising rates could derail your home buying goals? Don’t. There are a variety of ways to limit the damage and stay on track. One of the factors driving the health of the housing market over the last few years of economic recovery has been consistently low interest rates. Currently hovering around 4.5% for a 30-year fixed rate mortgage, home borrowing and refinancing is incredibly affordable. And compared to historical rates, it almost feels as if mortgage companies are giving away free money. This chart from Fannie Mae shows how interest rates have fallen precipitously over the last 30 years, making borrowing far more affordable. Coupled with low down payment loan products like the FHA mortgage, today’s lower interest rates allow buyers to purchase more home while paying less over the life of the mortgage. While financial writers bemoan a rise in interest rates over the last few months, rates are still far below their historical average of 8%. Because the economy is doing so well — a rising stock market and very low unemployment — the artificially low mortgage interest of recent years is no longer needed to juice the housing market. That could set the stage for rising interest rates over the next few months or years. While current rates are expected to hold steady for the immediate future, uncertainty remains due to the possibility of inflation, the naming of a new Federal Reserve Chair, and other factors. So if you’re not quite ready to buy, how can you keep a rise in interest rates from spoiling your plans? 1. Choose a 15-year fixed rate mortgage. While most people automatically think in terms of a 30-year mortgage, there are a lot of reasons to love a 15-year term. In today’s more mobile economy, people just don’t buy a home at 28 and then stay there for the rest of their lives. By choosing a 15-year mortgage, you can build equity faster so that you can move anywhere your ambition and talent take you without losing money on your home sale. In terms of interest rates, the 15-year mortgage is often a full ½% below the more popular 30-year fixed. Add to that the fact that you’re only paying interest for 15 years instead of 30, and this option ends up saving you tens of thousands of dollars over the life of the loan. 2. Increase your down payment. If possible, adding more to your down payment can save you thousands over the life of your loan for a couple of reasons. That bump in the down payment means you’re financing less up front and saving the interest on that money over the life of the loan. In addition, low down payment loans may require Private Mortgage Insurance (PMI) until the loan reaches 20% equity. That can take several years at a cost of hundreds of dollars each month. A higher down payment can keep you from having to spend that money, and may make up for a slightly higher interest rate. 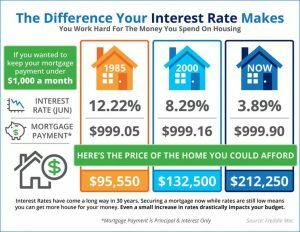 Although we talk about the “current interest rate” as if it is one particular number, it’s really an average of the available range of interest rates. That means that different lenders may have different rates on offer. In addition, different products have different rates, even if their terms are otherwise the same. If the interest rate on a 30-year conventional is up, the rate on a 30-year FHA may be lower. In addition, different lenders have access to different loan products, special offers, and even grants that make your down payment or loan terms more affordable. A great program that helps with the down payment or closing costs may be more than enough to offset a slight interest rate change. 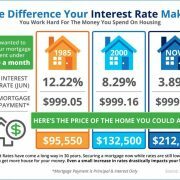 While we often worry about a rise in interest rates and how it will affect the total cost of the loan over time, on a month-to-month basis it may only cause a change in your payment of a few dollars each month. While, yes, that does add up over time, it may not account for much in your monthly budget. And who knows? If interest rates go lower down the road, you may be in a position to refinance and recapture some of that money on the backend of your mortgage. Need to discuss your budget and loan options with a lender? I know some great ones and can help you with all of the information you need to make an informed decision. Let’s talk about your options and create a home search that works for you. Contact me today and let’s get started! You know Alexandria is a great place to live. Check out some of our notable neighbors. 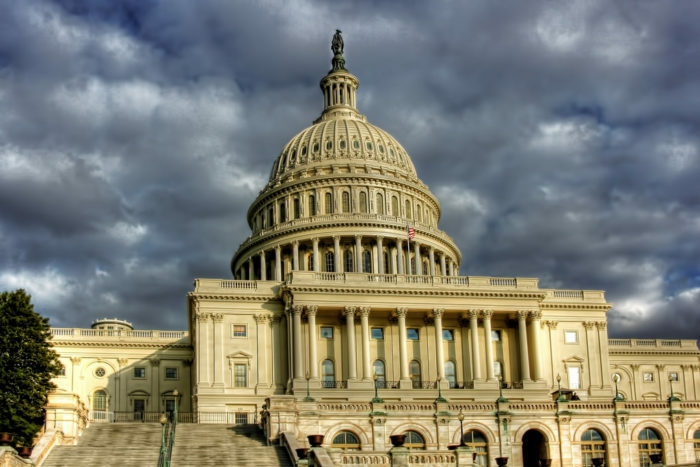 Alexandria is a fantastic place to live, with great shopping, restaurants, natural beauty, and, of course, proximity to all of the glamour, pomp, and circumstance of DC’s political elite. But Alexandria also has many residents and former residents who are better known for their pop culture significance than for their political views. Here is a list of some of the most interesting Alexandria natives. Although originally from Springfield, VA, former Nirvana drummer and Foo Fighters front man Grohl spent time living and playing in various places throughout Northern Virginia, including Alexandria. Grohl built a recording studio in his Alexandria home and recorded much of the Foo Fighters’ third album there. The title of his song “Arlandria” is a combination of Arlington and Alexandria, two of the places Grohl lived in the area. Whether you’ve swooned over this handsome actor on Law & Order: SVU or in any of his other television and movie roles, you’ll be glad to know that he was always awesome. As a high school quarterback and football captain at Alexandria’s St. Stephen School, his team went undefeated. In fact, you’re still likely to see him in Old Town from time to time, as he still has family in the area and is a regular at high school reunions. If you’ve wondered how The West Wing could so beautifully and accurately portray life in DC, it’s because Executive Producer and Showrunner John Wells hails from Alexandria. The theater, film, and television producer has also helmed ER, Third Watch, Southland, and Shameless. Playwright and screenwriter Beau Willimon is the Alexandria native who created, wrote, and served as showrunner for House of Cards. Willimon also wrote plays like Farragut North and The Parisian Woman and films like George Clooney’s The Ides of March. He is currently serving as President of The Writers Guild of America, East. C. Williams alum Dermot Mulroney has had a long and active career in Hollywood, starring in such movies as My Best Friend’s Wedding with Julia Roberts and The Grey with Liam Neeson. Mulroney has been featured in TV roles in Friends, Shameless, American Horror Story and many other shows. He is currently starring in the popular new TV show LA to Vegas. With family still in the area, you may just spot him around town. Longtime TV personality and Today show weatherman Willard Scott is an Alexandria native. Scott was best known for offering birthday wishes to viewers who were 100 or older, a role he continued to play for many years after his retirement as a weatherman. Scott frequently returns to the area and has made a number of appearances, including multiple appearances as Santa Claus at the White House Tree Lighting. Multiple Grammy winning country artist Mary Chapin Carpenter has lived all over the DC area, including many years in Alexandria. Although she currently lives on a farm outside of Charlottesville, she still has family in the area and often makes her way back to Alexandria for visits and performances. Football legend Joe Theismann is an Alexandria fixture and his restaurant Theismann’s Restaurant & Bar has been a local landmark since 1975. Theismann himself is often in the area, dividing his time among homes in Virginia, Tennessee, and Florida as well as travelling extensively for personal appearances and speaking engagements. http://www.thehwilliamsgroup.com/wp-content/uploads/2018/02/WILLIAMS-UC.png 1080 1080 Holly Williams http://www.thehwilliamsgroup.com/wp-content/uploads/2017/12/logo.jpg Holly Williams2018-02-12 14:57:202018-04-16 21:29:01'Tis the Selling Season! 1. Last-minute trips to the beach. 2. The best field trips on Earth. While going on field trips is part of nearly everyone’s upbringing, no one can boast memorable field trips quite like Virginians. 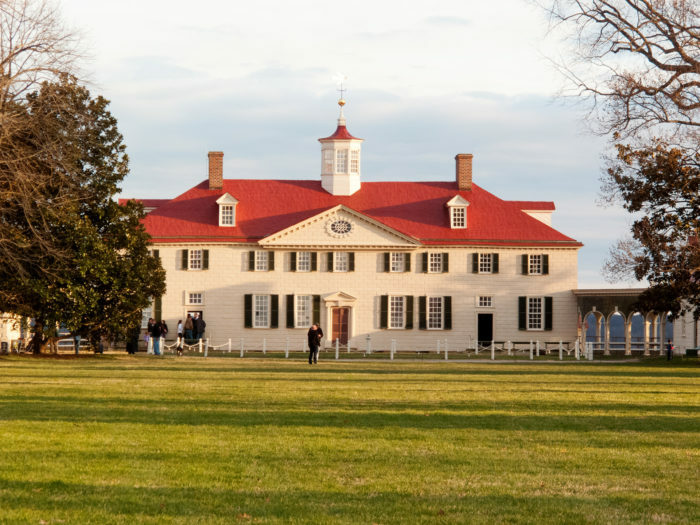 Between Mount Vernon, Monticello, Jamestown, and Williamsburg, there are countless opportunities to interact with our state’s impressive history. 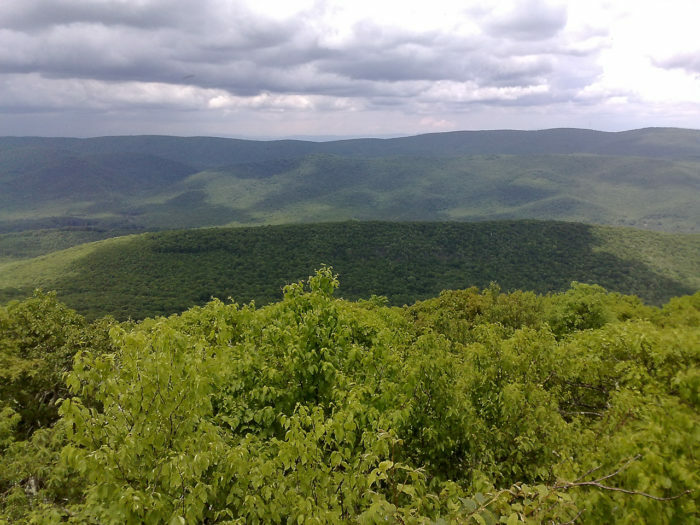 Hiking in Virginia is an activity that appeals to outdoor lovers of all ages. If you grew up in Virginia, chances are you have hiked at least a few miles of the iconic Appalachian Trail. 4. Experiencing four gorgeous seasons. There’s nothing like fall in Virginia, spring in Virginia, summer in Virginia and even winter in Virginia. Each season brings about its unique beauty and appeal. 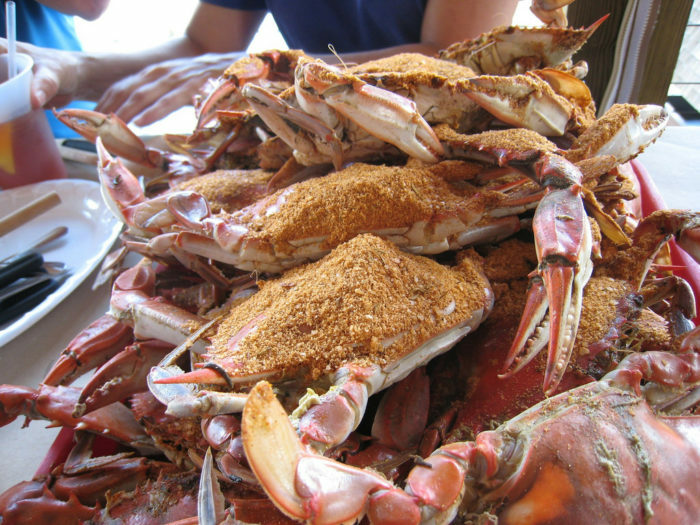 Whether it’s a spontaneous trip to the nearest crab shack or a planned event, there’s nothing like a crab picking party to bring a group of Virginians together. 6. You can understand directions given solely in terms of landmarks. 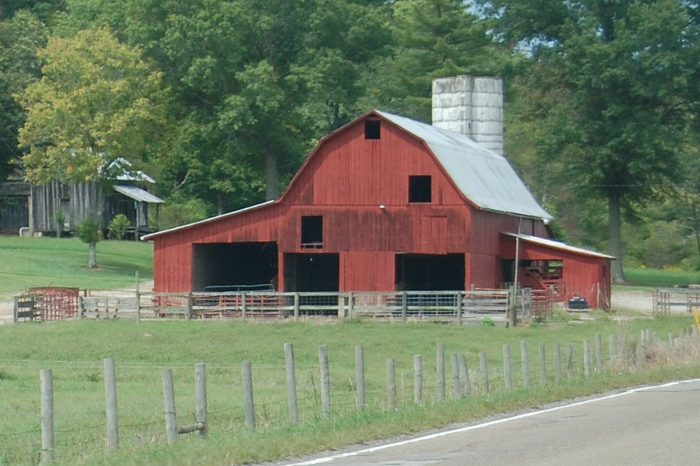 “Drive past the red barn and continue on for a quarter of a mile before going over the train tracks…” is a common way you might find your way from here to there. 7. 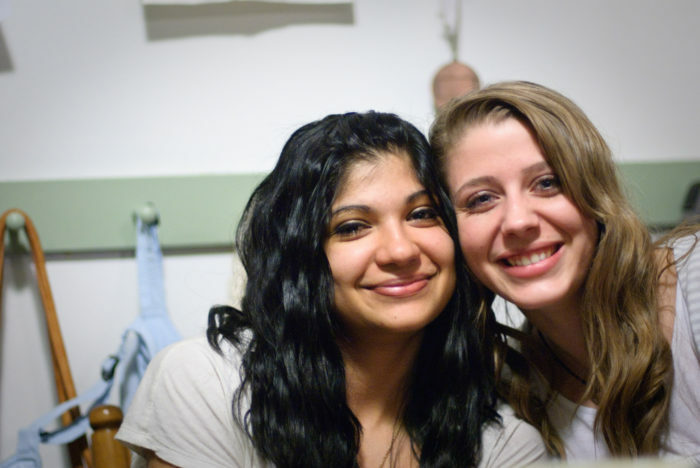 Friendships last through generations. If you grew up in Virginia, you most likely are friends with the children of your parents’ friends, and so the cycle continues for generations and generations. 8. The Nation’s Capital is just a drive away. Depending on how willing you are to brave the traffic of I-95, traveling to Washington D.C. is a relatively easy trip. 9. You’ve enjoyed a lifetime’s worth of live music. 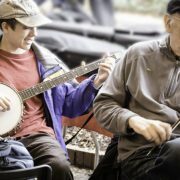 Here in Virginia, you never have to travel too far to enjoy an incredible live music performance. 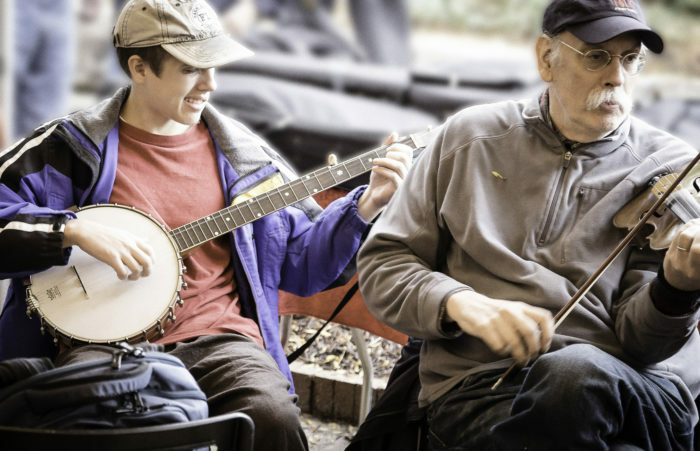 Whether it’s a concert in a historic venue, an impromptu jam, or an entire weekend of music, there are so many ways to get into the groove here. 10. You’ve had the privilege of growing up in the most beautiful state in the U.S.
Perhaps we’re just slightly biased, but there’s honestly no natural beauty that rivals that of Virginia’s. We’re grateful to have grown up here! Now it’s time for you to speak up! 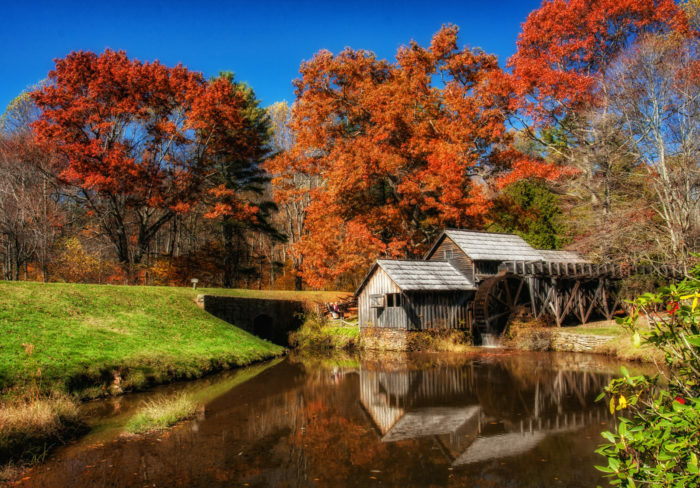 What are your favorite memories from having grown up in Virginia? 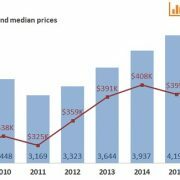 Washington D.C. Metro’s December median sales price of $420,050 was up 2.4% or $9,950 compared to last year. 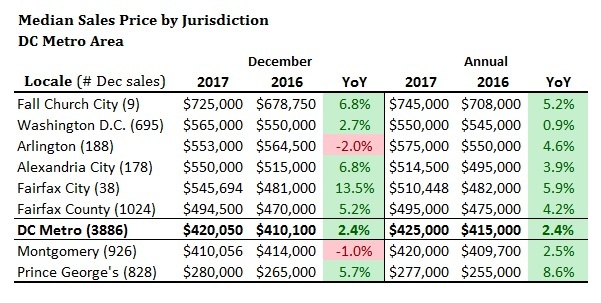 For the calendar year ending December 2017, the overall median sales price was up 2.4% to $425,000. In 2017, each month’s median sales price was higher year-over-year and every month’s median sales price was the highest monthly level of the decade. Closed sales of 3,886 were down 3.4% compared to last year and were 4.8% below last month. New contracts of 3,314 were down 6.3% compared to last year and down 22.0% compared to last month. New listings of 2,799 were down 9.4% compared to last year and down 35.0% from last month. Active listings of 6,734 are down 9.7% compared to last year and down 22.0% compared to last month. This is the 20th consecutive month of declines in year-over-year inventory. The average percent of original list price received at sale in December was 97.2%. The median days-on-market for December 2017 was 27 days, two days lower than last year. December’s regional median sales price of $420,050 was an increase of 2.4% or $9,950 compared to last year, but was down 1.2% or $4,950 compared to last month. This is the 15th consecutive month of year-over-year price increases and was the highest December level of the last 10 years. Compared to last year, single-family detached home prices increased 5.2% to $515,285, townhome prices rose 1.5% to $410,000 and condo prices rose a slight 0.1% to $299,800. December prices are above the 5-year average of $404,902 and the 10-year average of $369,101. 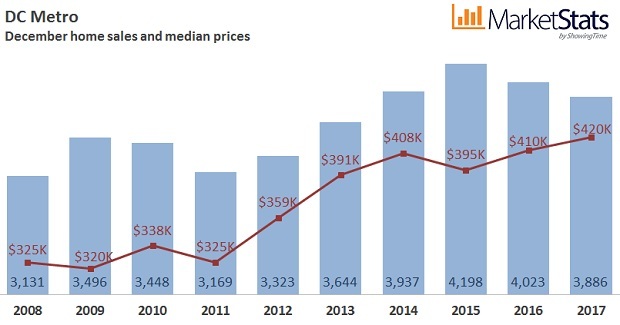 The regional price of $420,050 is 31.3% higher than the market low of $320,000 seen in 2009. Falls Church City remains the most expensive location in the region, with a median sales price of $725,000, up 6.8% from last year. Prince George’s County remains the most affordable area in the region, with a median sales price of $280,000, a 5.7% increase over last year. For the year, the overall regional median sales price of $425,000 was up 2.4% compared to 2016 and all jurisdictions saw positive price growth over the prior year. Closed sales of 3,886 were down 3.4% from last year and down 4.8% from last month. Only condo sales rose compared to last year, increasing 3.2% to 1,037. Townhome sales were down 2.0% to 1,052 and single-family detached sales were down 7.6% to 1,797. Sales were above the 10-year average of 3,626, but dipped below the 5-year average of 3,938. December’s closed sales were 24.1% above the market low of 3,131 seen in December 2008, but were 7.4% below the decade’s high of 4,198 seen in 2015. Sales activity across the region was mostly down, with gains in Fairfax City (+90.0% to 38 sales) and in Washington D.C. (+10.0 to 695 sales). 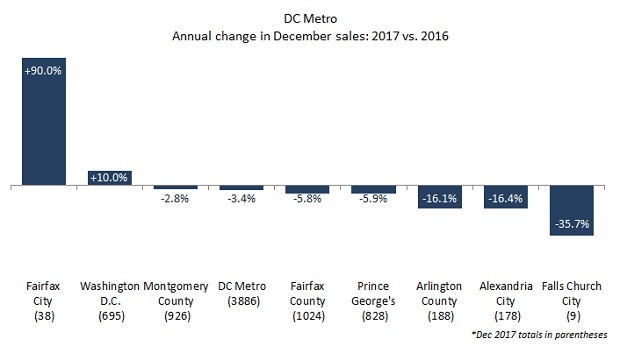 The smallest decline in sales was in Montgomery County (-2.8% to 926 sales) and the largest decline was in Falls Church City (-35.7% to 9 sales). For all of 2017, closed sales across the region were up 4.1% to 55,700. New pending sales of 3,314 were down 6.3% compared to last year, and were down 22.0% compared to last month. Pending sales of single-family detached homes were down 10.8% to 1,479, while condo pending sales decreased 2.5% to 941 and townhome pending sales decreased 2.2% to 893. Pending sales are above the 5-year average of 3,281 and the 10-year average of 3,084. December’s new pending sales were 39.7% more than the December 2008 low of 2,372. 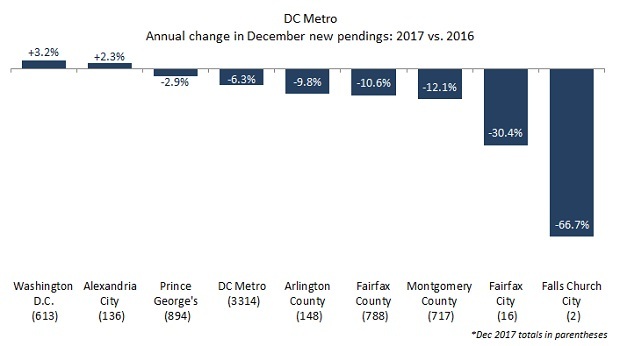 Pending sales activity across the region was mostly down, with Washington D.C. (+3.2% to 613) and Alexandria City (+2.3% to 136) showing the only increases compared to last year. Prince George’s County saw the smallest decline (-2.9% to 894) and Falls Church City saw the largest percentage decline (-66.7% to 2). December’s 2,799 new listings were down 9.4% from last year and down a seasonal 35.0% from last month. Compared to last year, new townhome listings were down 1.0% to 762, new single-family listings were down 11.1% to 1,281, and new condo listings were down 14.1% to 753. New listings are slightly below the 5-year average of 2,891 and the 10-year average of 3,054. December new listings are 13.5% above the 10-year low of 2,465 seen in December 2012, and are 31.4% below the peak of 4,079 seen in 2008. Across the region, Falls Church City saw the largest percentage decline in new listings (-63.6% to 4). The only increase was in Prince George’s County (+7.4% to 871). 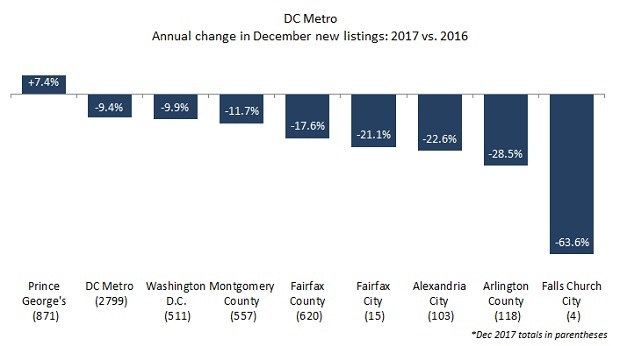 For all of 2017, new listings across the entire DC Metro area were up 2.1% to 74,659. There were 6,734 active listings at the end of December, down 9.7% compared to last year and down 22.0% compared to last month. Inventory levels have declined for 20 consecutive months. Townhome inventories were up 3.9% to 1,351, while single-family detached inventories were down 12.3% to 3,560 and condo inventories were down 13.2% to 1,815. Inventories are well below both the 5-year average of 7,609 and the 10-year average of 10,269. December inventory levels exceed the 2012 low of 6,466 by just 4.1%, but are down 68.1% from the peak of 21,080 seen in December 2008. Across the region, inventory levels showed the largest gain in Fairfax City, where they increased 28.9% to 58. The largest percentage decline was in Falls Church City where they dropped 45.0% to 11. The regional average sales price to original listing price ratio (SP to OLP ratio) for December was 97.2%, up from last year’s 97.0% but down from last month’s 97.4%. This is the highest December SP to OLP ratio of the decade. Townhomes have the highest December SP to OLP ratio of 98.2%. Condos have a SP to OLP ratio of 97.1% and single-family detached homes have a SP to OLP ratio of 96.6%. December’s SP to OLP ratio exceeds the 5-year average of 96.8% and the 10-year average of 95.2%. Fairfax City had the highest regional SP to OLP ratio of 99.1%, up significantly from last year’s 95.6%. Arlington County had the lowest SP to OLP ratio of 96.6%, down from last year’s 96.8%. For calendar year 2017, the regional SP to OLP ratio was 98.1%, up from 2016’s 97.5%. The median days-on-market (DOM) in December was 27 days, down two days from last year but up six days from last month. Townhomes have a median DOM of 20, while condos have a median DOM of 27, and single-family detached homes have a median DOM of 32. December’s median DOM was three days below the 5-year average of 30 days and 10 days below the 10-year average of 37 days. This month’s median DOM of 27 is the second-lowest December level in a decade (the lowest was 25 days in 2013). The highest December median DOM of the last 10 years was 64 days in 2008. The highest median DOM in the region in December was in Fairfax County, where it was 35 days, down from 37 days last year. Fairfax City has the lowest median DOM of 16 days, down significantly from 56 days last year. For all of 2017, the overall regional median DOM was 16 days, down from 21 days in 2016. 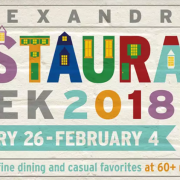 On January 26 to February 4, 2018, more than 60 Alexandria restaurants will feature a $35 three-course dinner for one OR a $35 dinner for two during Alexandria Winter Restaurant Week. More than 30 restaurants will also offer lunch menus at $10, $15 or $20 per person in addition to the dinner specials. Alexandria Winter Restaurant Week showcases the inventiveness of local chefs in neighborhoods throughout the city, including Old Town, Del Ray and the West End. At a range of locales, from fine dining establishments to casual neighborhood favorites, guests will savor the flavors of Alexandria’s distinctive collection of eateries. Below, use the Search Listings “By Category” feature to sort by Dinner for Two People, Three Course Prix Fixe for One Person, and Lunch Menus. When it’s hot outside, you want your home to be minimalist and breezy, with no extra layers to capture the humidity or hold in heat. 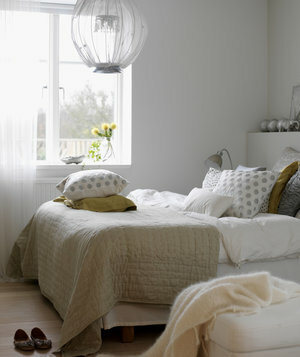 But once it gets chilly, you want those layers back to make the house feel warm and cozy. Fortunately, it doesn’t take much to make your space inviting and comfortable for winter. Here are 9 tiny ways to cozy up your home. Crisp cotton and linen is great for summer months, but flannel is where it’s at for winter! Trade your crisp sateen sheets for ones that will hold the warmth in, like flannel or jersey. While you’re at it, fold a quilt or throw blanket over the foot of your bed to have handy for the coldest nights. Stash slippers by the door. The first step to feeling cozy: No chilly feet! Keep a pair of slippers by your main entrance to change into as soon as you cross the threshold, so you’ll be comfortable from the moment you get home from work. Bonus: They’ll keep you from tracking in snow or salt from the sidewalk. Swap in snuggly throw pillows. Finally, an excuse to splurge on one of those big furry pillows! Add one or two textured throw pillows to your couch (or just change the covers on your existing pillows) to make your space look and feel cozier. Other options: Nubby boucle, a wooly cable knit, or a rich velvet. Sisal and flat-weave rugs are great when it’s warm outside, but for winter, you want a little pile. If you don’t have the budget to get a giant area rug, consider layering smaller rugs in strategic spots, like next to the bed, under the coffee table, or in front of your favorite reading chair. When the nights get darker earlier, it’s tempting to go to bed around 7 p.m. Resist, but without the harsh overhead lighting, by fitting table lamps with warm-toned LED lights for a cozy candle-lit glow that’ll still keep you awake. Warm up your window treatments. If you normally have sheer linen curtains, consider trading them out for velvet drapes, or any heavy curtain that boasts a thermal lining. Besides making a space look warm and cozy, they’ll actually insulate the room by blocking cold air from leaking through old windows at night. If you have a slip-covered couch—or even if you don’t, but your sofa’s a standard size—try a new slipcover for the colder months. Choose a deep jewel tone and a softer fabric than your standard crisp white cotton to give the living room a cozier feel. Start from the bottom up: A little kitchen rug on the floor in front of the sink, a runner or tablecloth on the breakfast table, and linen slipcovers over your wooden or metal cafe chairs. Anytime you can put a layer of fabric between yourself and bare wood or tile, it’ll feel just a bit warmer. Put your memories on display. They won’t technically make your space warmer, but a mantel full of holiday cards or a wall full of photos from the last year will keep your heart full of warm memories as you get through the next few gray months.